Film-makers and actors from around the globe are expected to sign a petition calling for the release of the dissident Iranian director Jafar Panahi. An Iranian court yesterday sentenced the 50-year-old to six years in prison, his lawyer said, and banned him from directing or producing films for 20 years. The petition was drawn up by a group of European film organisations, including the Cannes film festival and the magazine Cahiers du Cinema. It invites signatures from writers, film-makers and actors, “as well as every man and woman who loves freedom and for whom human rights are fundamental”. 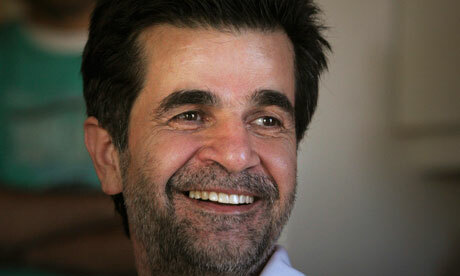 Panahi, a critic of the Ahmadinejad regime who supported the protests that followed 2009’s disputed Iranian elections, was convicted of “propaganda against the system”. In his plea to the court, he said: “My imprisonment and that of those I work with symbolises the kidnapping by those in power of all artists in the country.” Panahi will be jailed alongside another film-maker, Mohammad Rasoulof. Panahi won the Camera d’Or award at the 1995 Cannes film festival for The White Balloon and the Golden Lion prize at the 2000 Venice festival for The Circle. His other pictures include Offside and Crimson Gold. The director was initially arrested at his home in March, when he was accused of making an “anti-regime” documentary about the green uprising. His incarceration sparked protests from the likes of Martin Scorsese, Ang Lee and Steven Spielberg, while Juliette Binoche used the stage at last May’s Cannes film festival to call for Panahi’s release.